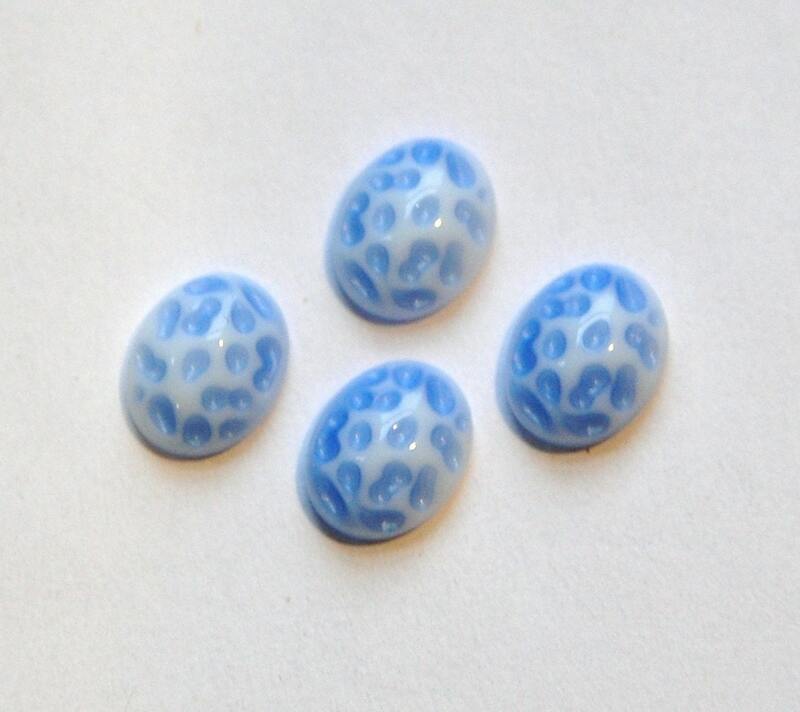 These are vintage blue and white glass cabochons. They were made in Western Germany. The tops of these cabs have little indents that create the textured surface. These measure 10mm x 8mm. Although there are 4 cabs pictured you will receive 6 pieces.